Do you ever wake up in the morning and know it is going to be one of those days? You begin to feel sick and you have trouble seeing. You wonder how you are going to make it through the day, just as you are prepared to go back to sleep to alleviate the migraine that is currently forming your children show up and remind you life isn’t about you it is about them. I experience migraines when the weather changes abruptly which it often does in Virginia. I experience them right before I receive my monthly gift and I get them when people decide that a drop of the perfume bottle isn’t enough and instead they need the whole darn bottle. What I didn’t have until now was an easy way to resolve my migraines at their onset. I was provided with Stopain Migraine in order for me to review. I talk about my migraines often because I am always seeking relief. I had one of those mornings where the weather was 70 degrees and sunny and then I woke up to 50 degrees and raining. I knew I had to act fast before the slow pain would turn into full blown awful. I get migraines so bad that I sometimes can’t see. I reached in my bed side table and took out Stopain Migraine. I need fast relief that is easily accessible and topical. I hate to take medicine. I wanted something I could apply and this allows you to apply it to the back of your neck and behind your ear or ears. It can be applied 4 times a day. I like this product because it doesn’t interfere with any other drugs. It also doesn’t cost a lot. I have migraine medicine that cost $350 for 5 pills, I really can’t afford to take them that often. This product is extremely reasonable. I like that I can easily apply it. I like that there aren’t any known side effects. My other medicine has a laundry list which is why I try not to take it unless my migraine could be putting my family or myself in danger. When I am home alone with my children I have to take it so I can see and provide them with care and make them their meals. I also have to use it if I am going to drive since my migraines involve horrible bouts of not being able to see correctly which causes me to get nausea. I like that it worked. It didn’t take away my migraine completely but it made a world of difference. I was able to get on with my life and get out of bed. It is easy to apply, just watch the video here. You take one pump on your finger and place it behind half of your neck and to one of the ears. Then repeat the process and do the other side. It should work in 30 minutes or less, if it doesn’t then reapply. You can do so up to 4 times daily. The product’s airless pump technology ensures precision dosing each and every time (measured dose), plus you can pump the product out at any angle. It is a cool and refreshing feeling and you will feel just a slight tingle. It took just minutes for it to work . This is me after using Stopain Migraine! 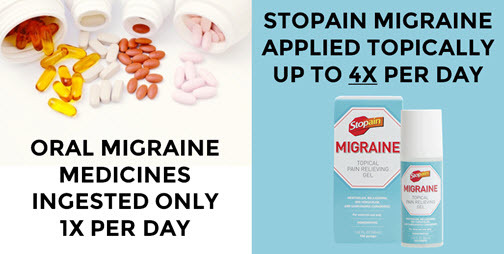 In my experience Stopain Migraine provides fast relief, it is safe and effective, and it has a precision dosing system so you can’t mess it up. You can use it alone or in combination with other migraine medicines. Stopain Migraine does not contain dyes or preservatives and is non- irritating and non-allergenic to the skin. 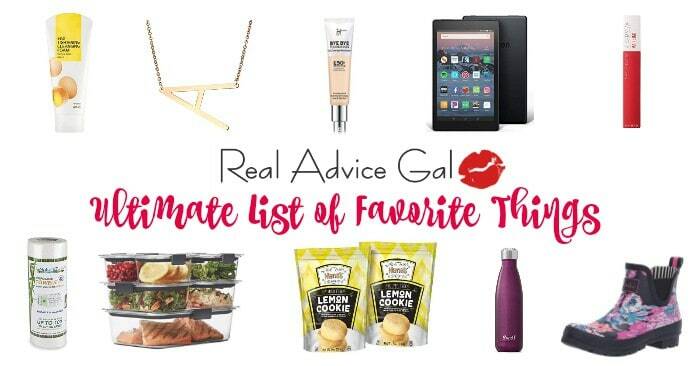 It is easy to bring with you, I have mine in my night stand and one in my purse. I hope it works for you like it is has worked for me. 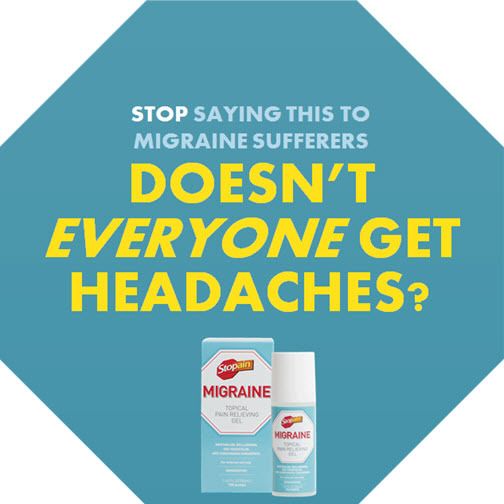 You can find it at Walmart at Walmart.com or on their site www.StopainMigraine.com. Plus grab this chance to win a Walmart gift card, join the Stopain Migraine Walmart Gift Cards Giveaway. Ten winners will each receive a $50 gift card Walmart, where you can now find Stopain Migraine in the headache relief aisle. Weekly winners announced on the Stopain Migraine Facebook page each Friday through 7/17.